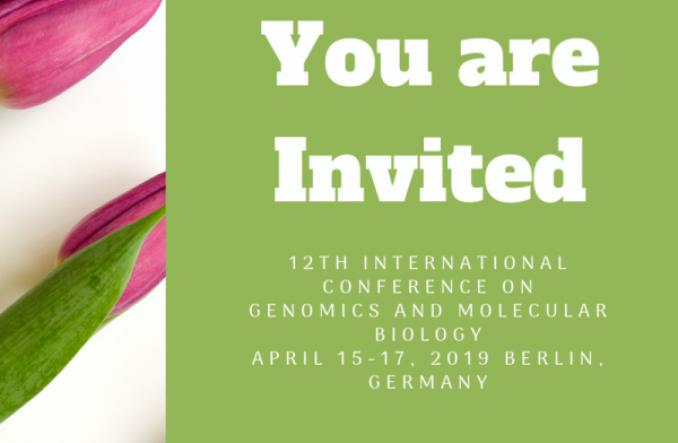 It takes us immense pleasure to announce the conference that 12th International Conference on Genomics and Molecular Biology which is going to be held during April 15-17, 2019 at Berlin, Germany. This is an excellent occasion for the attendees from Universities and Institutes to interact with the world class Scientists. The intending participants can confirm their participation by registering for the conference along with your colleagues. 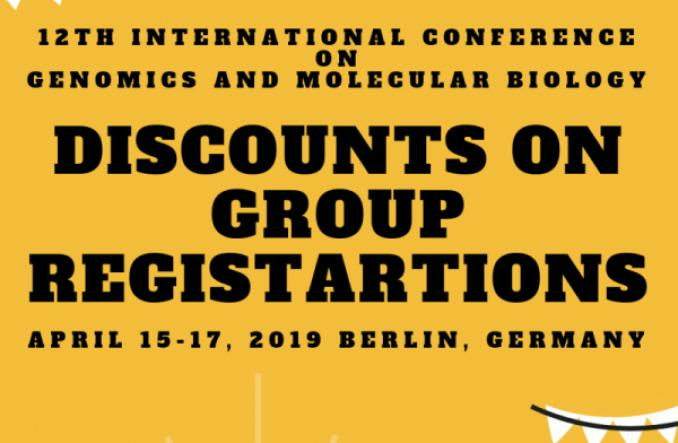 Early bird offer and group discounts are available now. 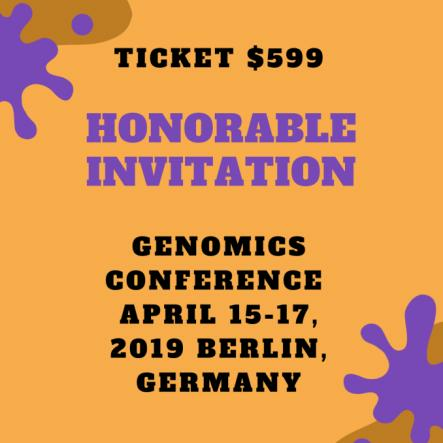 We would look forward to your participation in this international event. 12th International Conference on Genomics and Molecular Biology added 5 new photos. 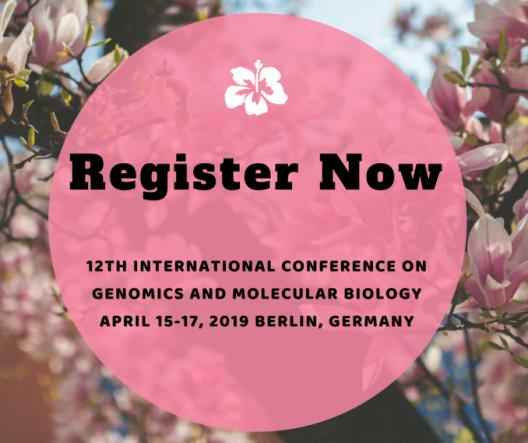 Amy Rose is now following 12th International Conference on Genomics and Molecular Biology. Amy Rose is attending an event. 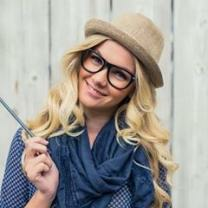 Amy Rose created a Event listing.